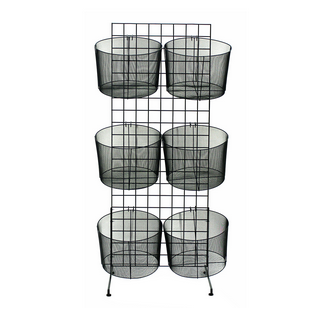 Showcase your merchandise with this Grid Basket Display. Six mesh baskets hanging on a grid panel creates lots of room for products as well as clear viewing through the mesh baskets. Set in a high traffic location and you are going to move those inventory items faster than you can fill the baskets. 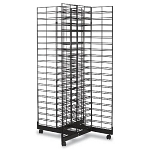 Maximize your selling space with this metal display stand. 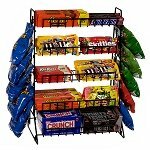 These mesh baskets make a great display for bulk candy or small novelty items. Order your grid display today at All Store Displays.